The customary understanding of a closet is pretty simple: a hole in the wall with a door where you put things. It serves a purpose, but it doesn’t really serve that purpose very well now, does it? You don’t just need a place to keep stuff. You need organization. You need efficiency. You need sustainability! One of the most common (and really the best) ways to keep a closet well organized is to divide the closet into various sections by using shelves. Shelves, despite their simplicity, are remarkably useful little tools that can demarcate divisions in any closet space to allow for fully efficient closet organization. Whether you like to organize by color, size, accessory, etc. 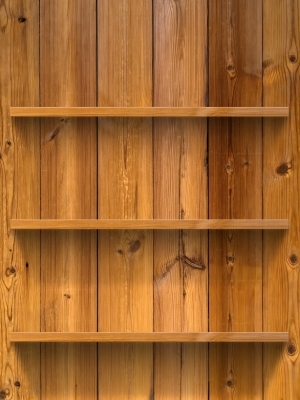 shelves can keep almost any organizational pattern in your wardrobe. And at Contempo Closet we allow you, our customer, to pick exactly how your shelves will be set up. On either custom walk in closet systems or freestanding wardrobes, all our pieces feature fully customizable shelving options to help create the solution that works best for you. Organize your space, organize your life. And on your way, feel free to get a little help from Contempo. This entry was posted in Closet, Organization, Storage, Wardrobe and tagged accessories, Closet, efficiency, Shelves, storage, wardrobe. Bookmark the permalink. mate do you have a twitter?